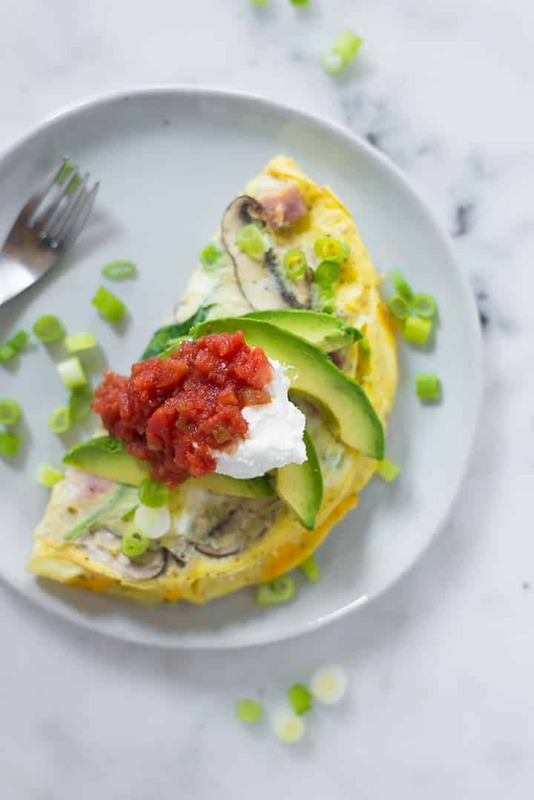 Omelets are delicious and perfect for breakfast, brunch, lunch, and dinner. 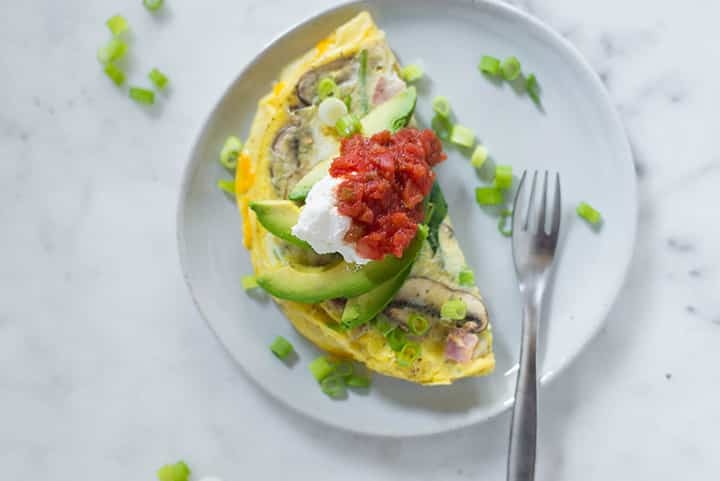 Learn how to make the best omelets that are fluffy, healthy, and oh so yummy. Step-by-step images included to walk you through the process! I love them for breakfast, lunch or dinner. 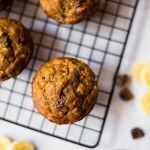 Not only are they super yummy, but they are also quite healthy. 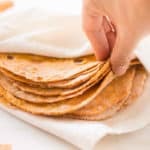 You can pack a ton of protein, fiber, calcium, and other nutrients into these fluffy pillows of goodness without even hardly trying. I used to have this issue with omelets that they turned out to be more like scrambled eggs than omelets. Then, with Dustin’s help, I have learned the correct ratio of meat to egg to veggie in order to achieve fluffy omelet perfection. Dustin’s good like that – he makes a mean scrambled eggs, too. 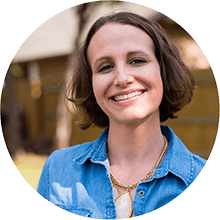 Learn more about that here. And, today, I have to share his tips for how to make the best omelets with you. When eating out, lots of restaurants make omelets by creating an almost crepe-like egg mixture and then wrapping that around all the omelet innards. There must be people who enjoy their omelets like that, but I am certainly not one of them. Instead, I like the omelet innards (meat and veggies) to be mixed in with the eggs. That way, the omelet is fluffier, tastier and, in my opinion, better. And, if you are like me, you are in the right place! It’s really easy to learn how to make fluffy omelet. We love omelets for dinner around here. We make them with some toast and roasted potatoes. Or just by themselves to save the calories on the extra carbs. 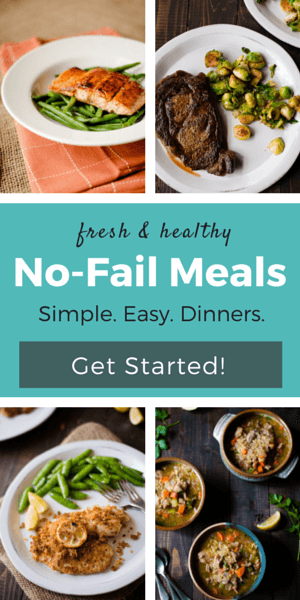 Super fast, healthy, and delicious! Just the way I like it. 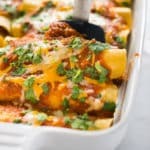 For this recipe, I used ham, spinach, mushroom, and cheddar cheese, but these ingredients can easily be substituted for your favorite fillings. If you’d like to use thick-cut ham, we ask the person at the deli to cut us extra thick ham just as you would lunch meat. And we get the low sodium, no sugar added ham and it’s delicious. Now, I want some omelets! And I bet you want to start cooking omelets as well! HOW MANY EGGS GO IN AN OMELET? Learning how to make the best omelets is not at all hard. It might feel intimidating, but it’s really not hard. There are many people who ask me how many eggs they should use to make the best omelets. The way I see it, one omelet = one serving. I don’t recommend trying to make a big omelet and then split it in two (or 3 or 4). 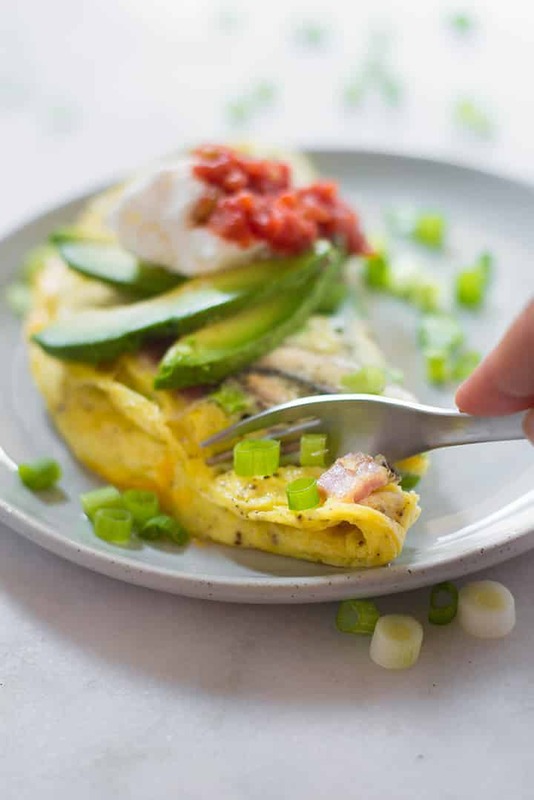 We all want to cut the breakfast prepping time in half (or lunch and dinner time for that matter), but making a big omelet and splitting it is not a good idea. You will end up with scrambled eggs instead of an omelet because flipping a huge omelet is not easy. And don’t get me wrong, I love scrambled eggs. But it’s not their time now. Also, making a big omelet increases the risk of making undercooked eggs. So for a decently sized one-person omelet, start with using 2 eggs. If you’d like to add extra protein, you could add in another egg white. Or, if you’re REALLY hungry and looking for a very filling omelet, you can use three eggs. Instead of using more than 3 eggs, I’d recommend just making an additional omelet. WHAT GOES IN AN OMELET? The short answer is everything you like. But, if you’re not sure what to use, try just a little cheese. Any type of cheese, really. Cheddar and Gruyere are great for omelets. But blue cheese is also an option if you want to make your omelet fancier. I’ve never been a huge fan of blue cheese, but I know many love it. 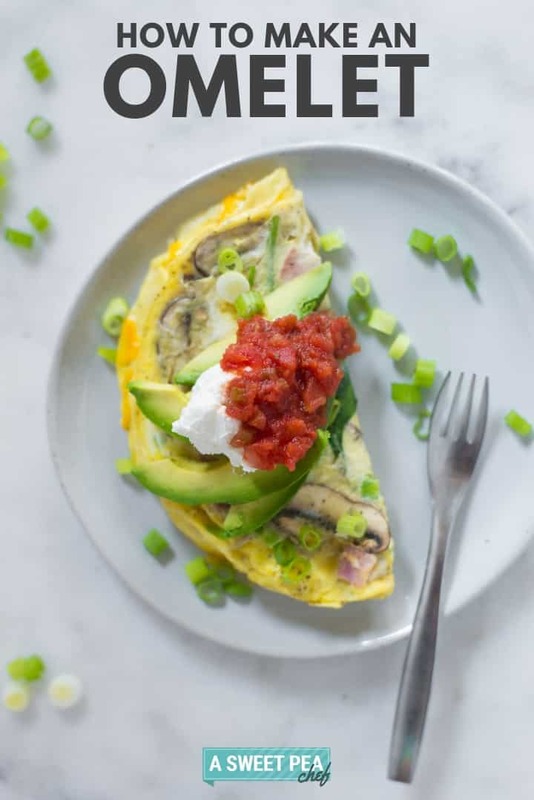 Wondering whether you should add milk or sour cream or greek yogurt to your omelet to make it better? My answer is NOPE, but more on that later. Just be sure the meat is cooked through before you add it to the omelet so it’s safe to eat. DO YOU NEED TO ADD MILK TO AN OMELET? Now, let’s talk about milk. Some people like to add milk to their omelets, while others despise it. People who add milk think they get creamier and fluffier omelets, while people who hate adding milk to omelets think milk only makes the eggs tougher. I don’t want to pick sides, but I will tell you that you don’t have to add milk to your omelet to make it fluffy. Flipping the omelet – this is the most intimidating step. And the step that makes people stay away from homemade omelets. 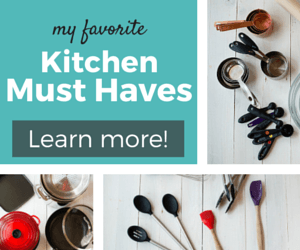 But, really, it’s not hard to learn how to flip an omelet without breaking it. And, if you fail, you can try again until you make it. Cooking should be fun so don’t be afraid to mess up. No one will know and your omelet will still taste super yummy, even if it’s not perfectly flipped. Basic Tip: If you want to avoid the mess, make sure the omelet won’t stick to the pan. 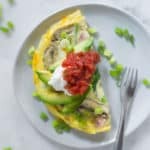 How to make your omelet not stick to the pan? Use a nonstick omelet pan. 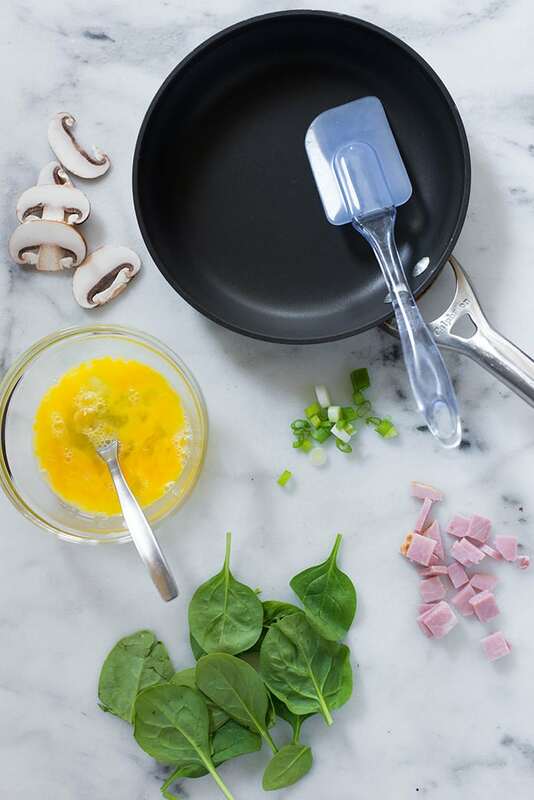 The pan should be about the same size as the omelet you’re wanting to make – the smaller, the better to keep everything nice and cuddled up. Also, make sure the pan is hot when you pour the eggs. If you don’t have a nonstick pan or you are too afraid to try, add olive oil to coat. Let the eggs cook for a minute or so or until the edges are brown and hold together. Separate the edges from the pan. Then, with a flexible silicone spatula, gently move the uncooked eggs from the middle towards the edges. Repeat the process until the omelet is almost done in the middle. Now the flipping part. First of all, shake the pan to make sure the bottom of the omelet is not stuck to the pan. If it sticks here, it will most certainly stick when you try to flip it. You can flip the omelet like you flip pancakes or crepes by shoving the pan forward and upward. If this is too intimidating, you can use a plate. Place the plate close to the pan and slide the omelet onto it. Then cover the plate with your pan and flip the pan to move the omelet from the plate to the pan. You can also use a big spatula to flip the omelet. You’ll have to be very fast otherwise you will break the omelet. HOW DO I MAKE A FLUFFY OMELET? Since we established that milk is not mandatory, how to make a fluffy omelet then? Beat the eggs. Like really beat the eggs. Don’t be afraid to do it. Beating the eggs until they have a light yellow color will make our omelet fluffier. But, if you want your omelet to be extra fluffy, I have another trick for you. Start by separating the egg yolks and egg whites in 2 bowls. 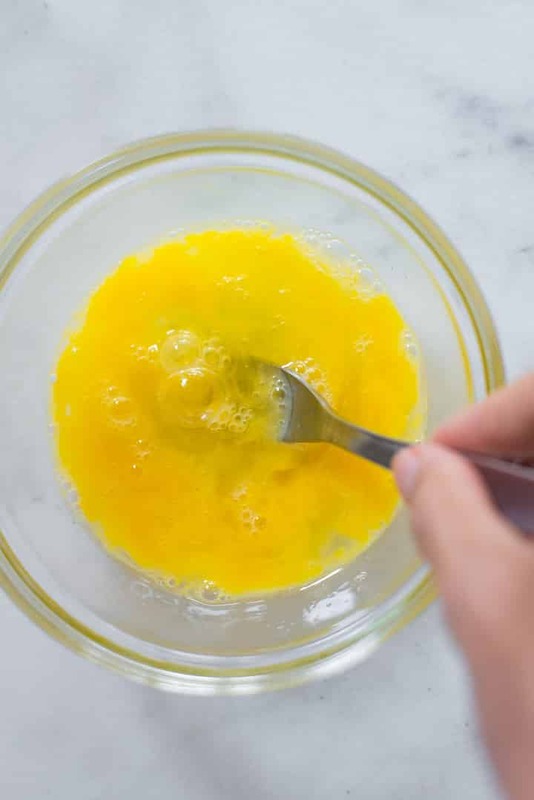 Whisk the egg yolks until they are light yellow. Then move to the egg whites. Beat them until they triple their volume. Slowly pour the egg yolks into the egg whites and mix until they are fully incorporated. 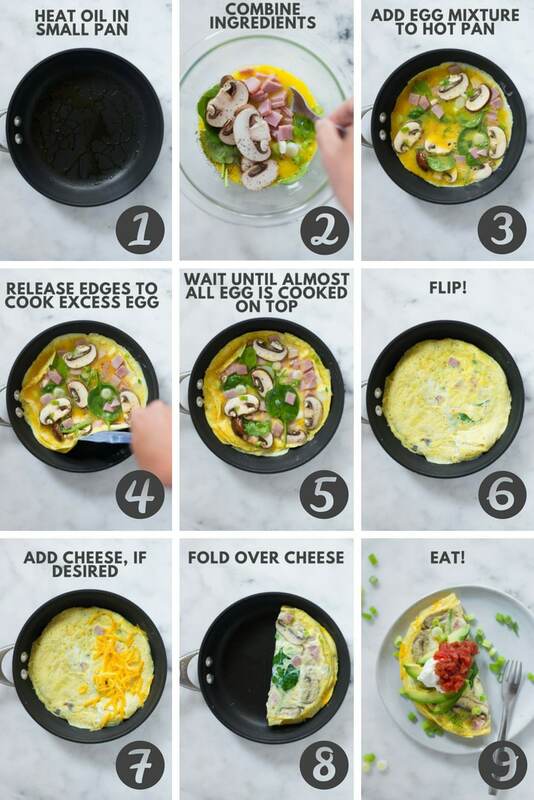 Truth be told, I don’t go to this big of a hassle when I make my omelets, but you’re welcome to try it out for yourself and compare! 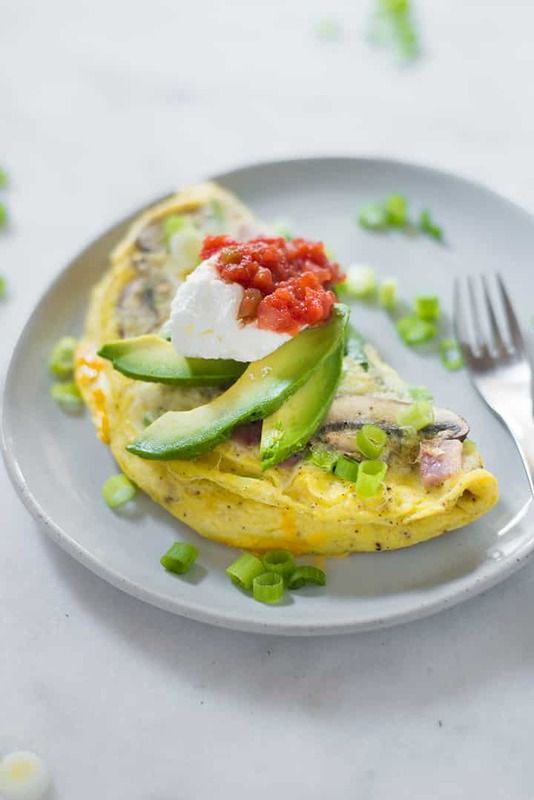 “Can I reheat omelets?” This question creates another heated debate in the omelet world. Actually, in the entire egg world. If you ask some people, they will tell you that omelets, frittatas, and fried eggs should not be reheated. Others, like me, are less drastic and will tell you that there are some ways to reheat omelets. So… how to reheat omelets? In a microwave for a short period of time. About 30 seconds max. You can also wrap the omelet in foil and reheat it in the oven, though this seems weird to me, to be honest. Steaming the omelets is another great way to reheat them. But, I have to say, sometimes the process of reheating the omelets takes more time and is more complex than making an omelet from scratch. I like to make omelets ahead of time and have them ready to reheat for a meal prepped breakfast. Is it AS good as a freshly made omelet? No, but it’s pretty darn good nonetheless. WHAT TO SERVE WITH OMELETS? If you serve the omelet for breakfast, you can enjoy it as it is. But, if you like to eat omelets for lunch and dinner like we do, you need some delicious sides as well. Isn’t breakfast for dinner the best? And, since I have a lot of experience with this whole omelet for dinner thing, I have 3 tasty suggestions for you. 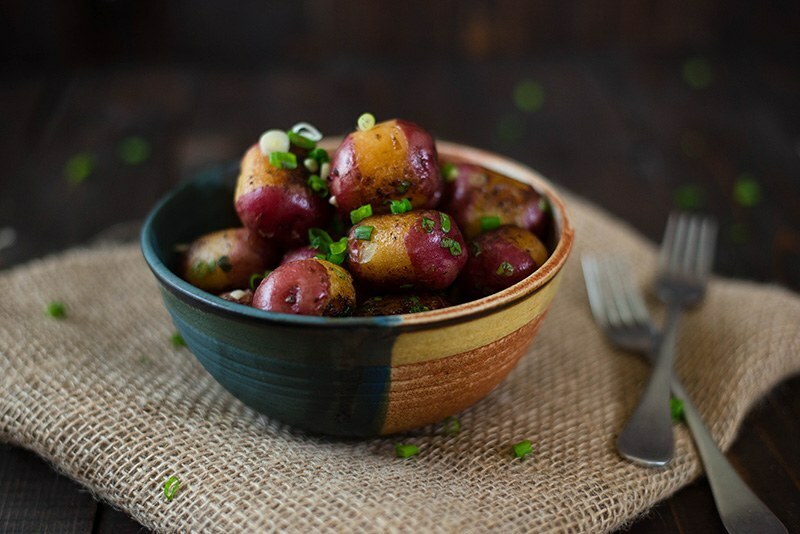 Tasty and very easy to make, these Sautéed Baby Red Potatoes are the perfect side for your omelet. You know what’s the best thing about them? There is no risk of serving undercooked potatoes to your family since you will be using baby potatoes, not large potatoes. Plus they look cute. All baby vegetables look cute, you have to admit. Get the recipe. When you are in a hurry but you want to make a healthy lunch, make an omelet with your favorite fillings. 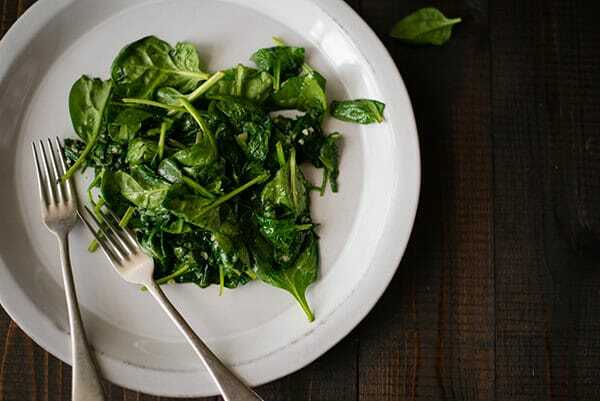 Then make this Sautéed Spinach. The omelet is ready in about 10 minutes. And so is the spinach. If you make them at the same time, you can have lunch on your table in 10 minutes. Amazing, right? 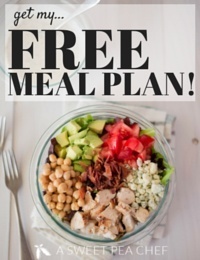 This quick lunch is a great option for Meatless Monday if you make your omelet vegetarian. Get the recipe. And speaking of Meatless Monday and vegetarian omelets. I know that not everybody is a big fan of spinach like I am. 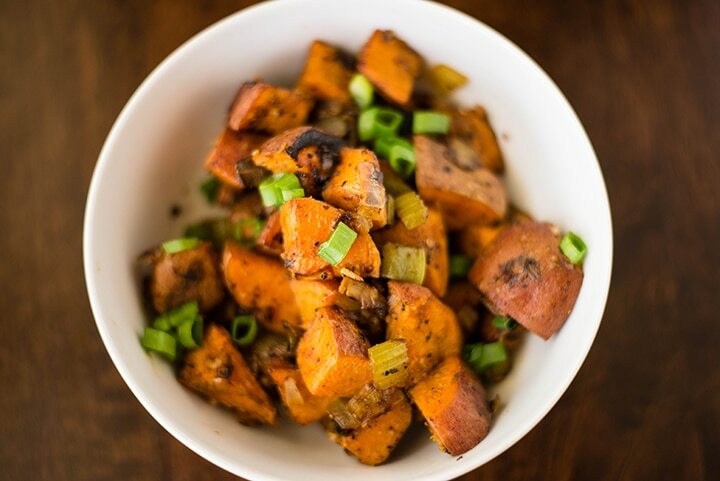 If you are part of the “I don’t like spinach group,” try this Sweet Potato Hash. 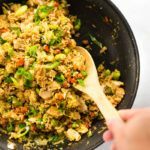 It’s a very filling and satisfying side dish that your entire family will love. And it’s also healthy. And ready in 20 minutes. Get the recipe. Heat the olive oil over medium-high heat in a small omelet pan. Add the eggs, spinach, ham, mushroom, sea salt, and black pepper to a mixing bowl and stir to combine. Once the oil is hot, pour the egg mixture into the pan and allow to cook, without stirring, for 2-3 minutes. Mixing at this point would cause them to scramble - we want them to set. 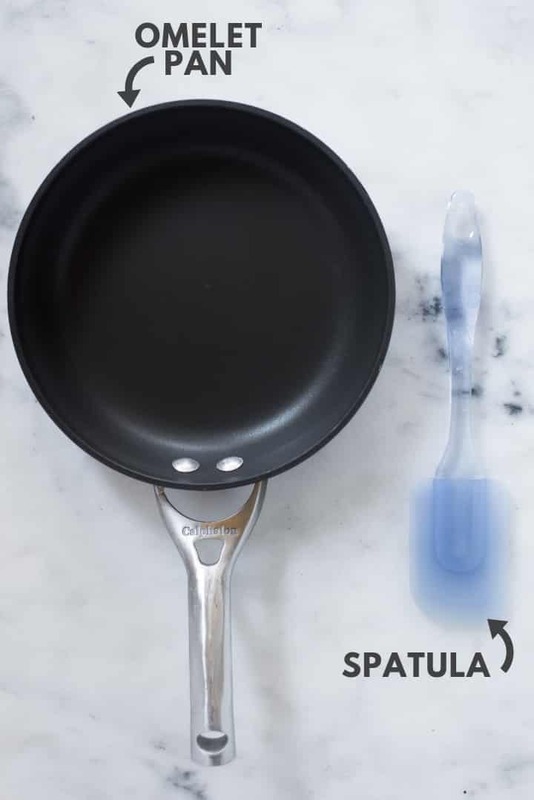 Using a silicone or flexible spatula, gently release the edges of the egg mixture from the side of the pan, allowing any excess, uncooked egg to fill in that area by tilting the pan. Repeat this until there is hardly any loose, uncooked egg on the top. This usually takes about a minute or two. Carefully, and without breaking the omelet, release as much of the bottom of the egg mixture from the pan (using the spatula). Swiftly flip the omelet over onto the uncooked side and cook for 1 minute. You can do this either with a large spatula or by flipping in the air by jerking the fry pan. Alternately, you can flip using a plate or a flexible cutting board. Sprinkle the cheese over half of the omelet and the fold the other half over the cheese. Cook 1 more minute. Serve hot, topped with plain greek yogurt, avocado, sliced green onions, and salsa, if desired. 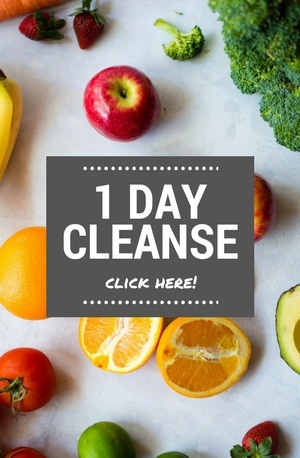 Yay, I’d love to know how it turns out for you!! Right? I always forget how easy and delicious they are for any meal! My omelets incorporate 1 Tbsp of whipping cream per egg, beaten until frothy. Thsi contributes to volume and smoothness of flavor and texture. Additionally, to keep the omelet from sticking to the pan, I pour a small amount of the egg mixture into the fry pan and let set before adding the remainder of the eggs. As well, I add several tsp of minced onion (dry) and fresh chopped chives. Any cheese, meats, etc are placed inside the folded over omelet after the omelet has been turned or flipped once. I also use Siracha or your favorite hot sauce in the omelet’s construction. 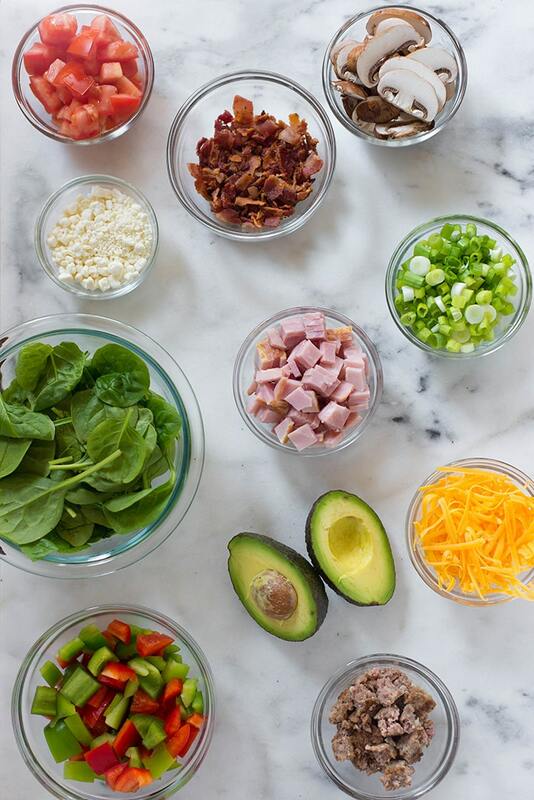 Thanks for sharing how you make omelets – sound yummy!